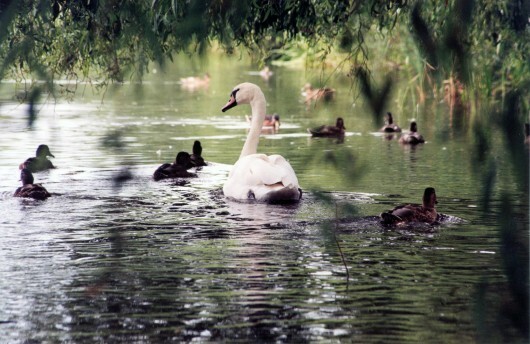 Is your local watercourse, pond or beach at risk of pollution from surface water sewers? Are you responsible for a watercourse, pond, lake or beach that receives surface water from urban or industrial sources? Or are you concerned about water pollution from road or storm drains affecting your local river or pond? 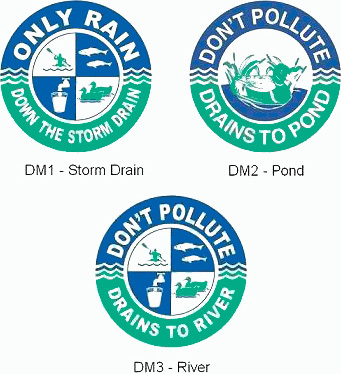 Our drain markers are an excellent way of educating the public about the dangers of allowing polluting substances to enter surface water drains and will help protect sensitive habitats and species. 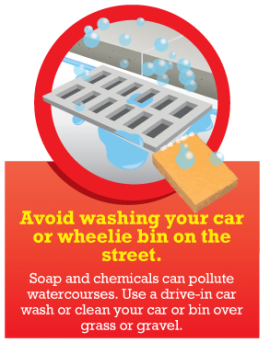 Road or storm drains serving both industrial and residential areas are often connected to sewers which discharge directly to watercourses. As there is no treatment provided, only uncontaminated rain water should be allowed to enter them. 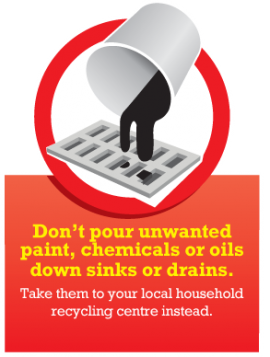 However accidental spillage or deliberate action can often lead to pollution and environmental harm. 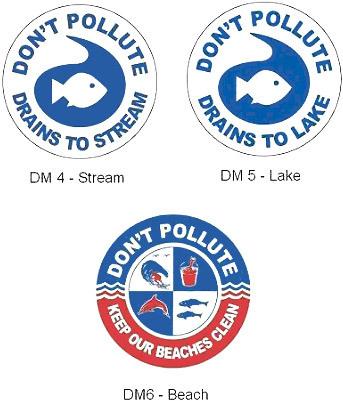 Storm drain marking is a great way to educate the public about drainage systems and will help prevent pollution of rivers, ponds, lakes, estuaries and beaches. 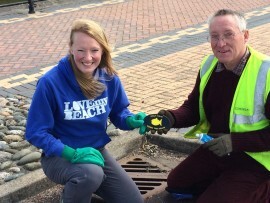 A growing number of organisations including Rivers Trusts, Water Companies and Local Authorities are using this cost effective and permanent reminder to local communities that they can help protect their local watercourses. See here for projects in the UK which have used our markers. The following designs are available from stock as 3 inch markers. Alternatively please contact us if you would like our help to design a unique marker for your local river or lake. 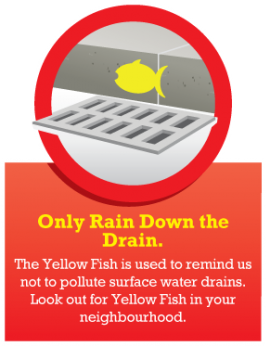 In support of the international Yellow Fish campaign (see the Environment Agency and Keep Wales Tidy web pages), we are proud to offer Yellow Fish drain markers. The markers are available as oblong markers – 3 1/4″ high x 5 1/4″ long – and have been designed to fit on the face of kerbs above surface water grates. 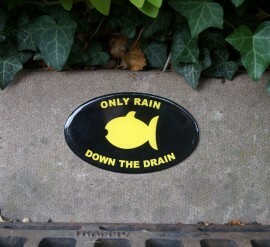 The Yellow Fish campaign forms part of the Environment Agency’s Healthy River Code which you might want to use as part of your wider engagement programme.